It obviously goes fast, very fast, and it definitely costs a small fortune – but what should you actually expect on Christmas Day when you open the front door and discover Santa has left an Aston Martin on the driveway? Well, don’t imagine it includes a glovebox because the dashboard is so uncluttered, a storage space has been dispensed with. There’s no legroom in the rear – unless you are one of Santa’s very little helpers – and there’s nothing as vulgar as a head-up display either. What the Volante does boast is a rather splendid brolly that matches the colour of the paintwork. If has its own secure fixing in the boot. The seats are definitely on the firm side of comfortable, despite multi-electrical adjustment. So you might need a fluffy cushion to stop numb bum on longer trips. 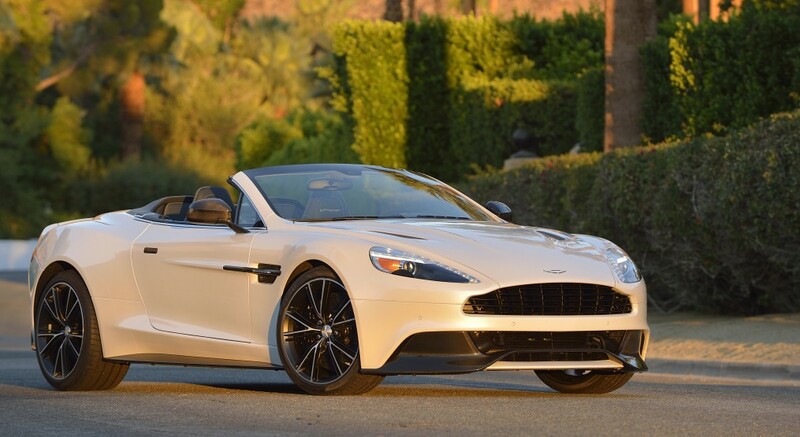 And if you don’t have a public profile, you certainly will have after driving a Vanquish for a few days. I parked slightly over the white line in Waitrose car park and you should have heard the fuss from miffed locals! That wouldn’t have happened in a Ford Fiesta I can tell you. 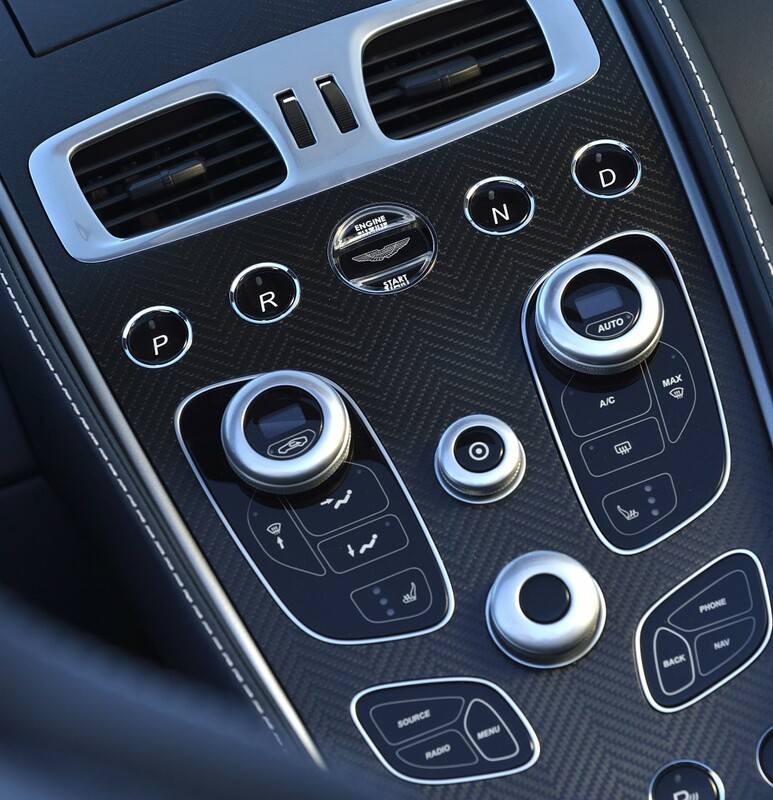 If you like the sound of silence in your motor, the Vanquish is not for you. 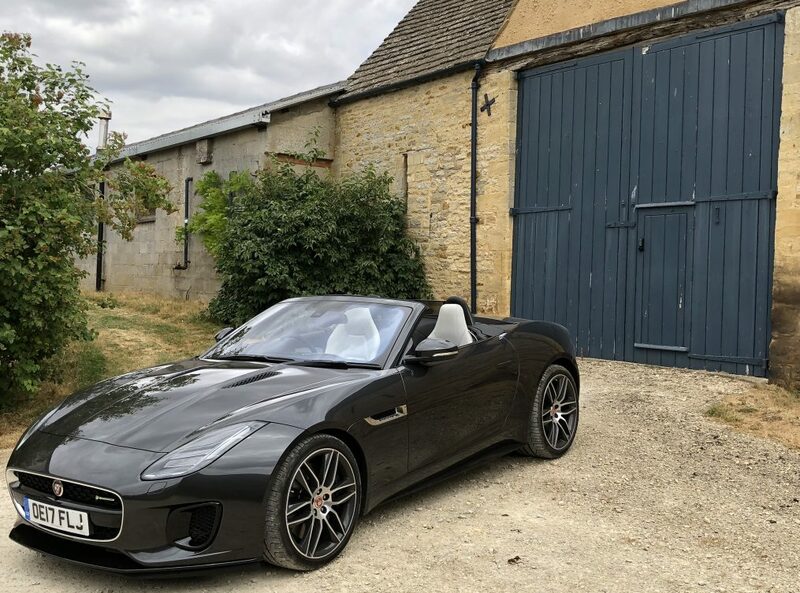 And the convertible Volante is even more noisy, despite a hood that is so good it’s hard to tell from the inside that you are actually in a drop top. It must be a boy thing because the sound of the Aston Martin’s exhaust pipes are sheer music to my ears. I’ve even forsaken Test Match Special on the DAB radio to marvel at every tweak of the accelerator. On the other hand, Jessica thinks the car is too noisy. I think she’s in love with the white leather interior and uncluttered dashboard though – the centre of which isn’t to my taste and doesn’t look worthy of a car costing £222,000. Today we drove down to the National Motor Museum in Beaulieu, Hampshire. It was pretty empty with most people out Christmas shopping, so all the exhibitions were empty.